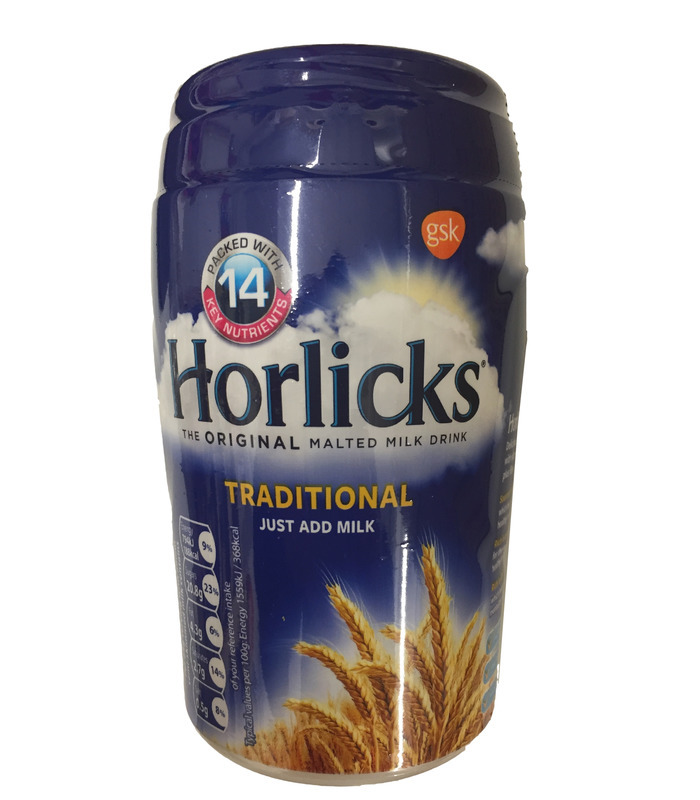 Horlicks is a popular nutritional malted drink, the tastiest way to get a great, refreshing sleep! 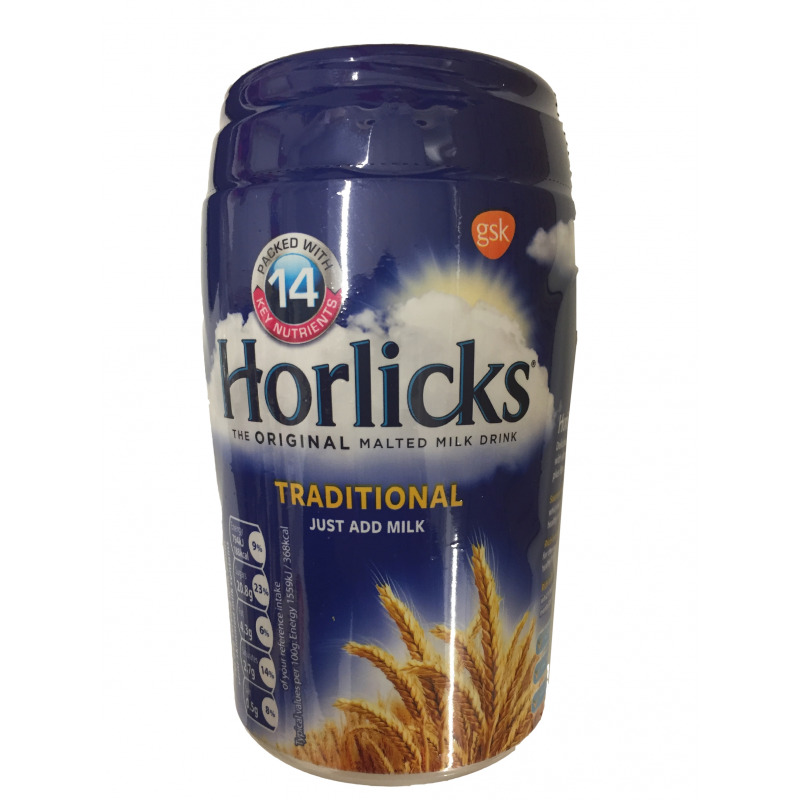 Read more about malted milk here. Horlicks is a popular nutritional malted drink, the tastiest way to get a great, refreshing sleep! Read more about malted milk here. Wheat Flour (55%), Malted Barley (15%), Dried Whey, Sugar, Calcium Carbonate, Vegetable Fat, Dried Skimmed Milk, Salt, Vitamins (C, Niacin, E, Pantothenic Acid, B6, B2, B1, Folic Acid, A , Biotin, D, B12), Ferric Pyrophosphate, Zinc Oxide.